Namaste, India! Visionect has appointed CEECO Technologies as the new Indian distributor for the JOAN product line, part of the brand’s global expansion into Asia. Catch JOAN in action at Convergence India, South Asia’s largest ICT expo, now taking place in New Delhi. 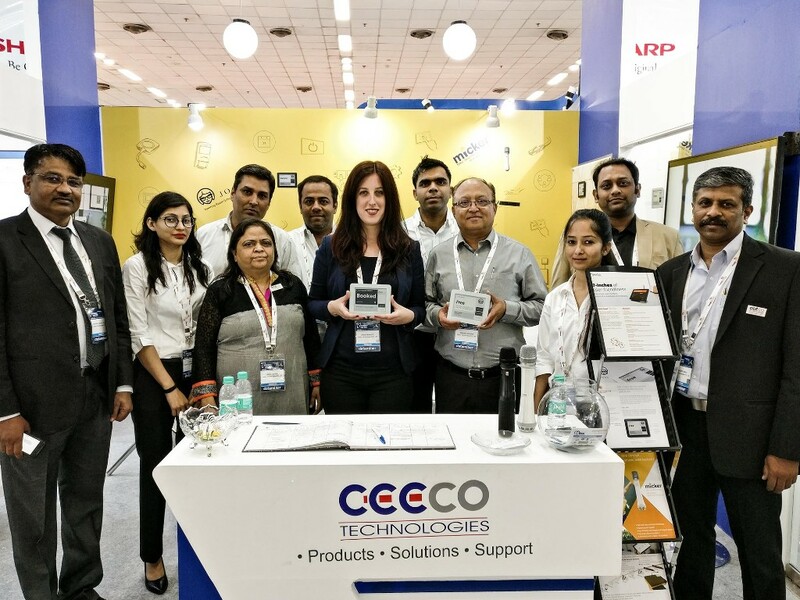 Visionect’s new partnership with CEECO Technologies to represent the JOAN product line in the Indian market is a continuation of the brand’s expansion in India and Asia, crucial markets in JOAN’s unstoppable adoption across the globe. And what’s not to love? From the unparalleled battery life of months on a single charge and wireless operation, to the easy-to-mount system (which even works for glass doors), JOAN improves office productivity like no solution before, organizing and reserving meeting room space — now in the birthplace of Gandhi. See JOAN in action at Convergence India 2018 at CEECO Technologies Stand B41 in Hall 10. While tens of thousands JOAN devices have already been shipped to customers around the world, the new partnership will significantly increase the number of customers for JOAN throughout India, with CEECO’s passion for implementing future proof solutions and their great customer experience bringing the benefits of JOAN to an entirely new audience of commercial customers. Headquartered in New Delhi, with key locations across the country, Ceeco Technologies provides clients with the best-in-class AV and ICT products and accessories, and backs it up with great customer experience and after-sales support to help clients grow their business. Serving its ever-increasing base of satisfied customers, CEECO has now added JOAN to their product portfolio, showcasing the room scheduler for the first time at the 26th Convergence India, South Asia’s largest ICT expo, taking place in New Delhi March 7-9.